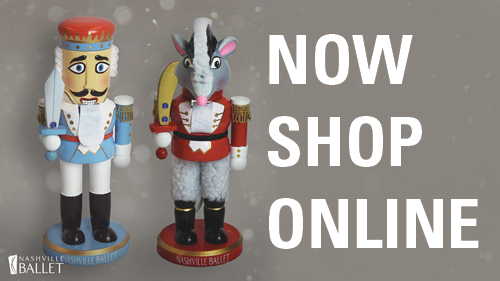 Nashville Ballet invites community youth ages 8+ to open auditions for the 2018-2019 season production of Nashville’s Nutcracker. Auditions will be held on Sundays, Aug. 19, Aug. 26 and Sept. 9, 2018 at Nashville Ballet’s Sylvan Park facility, 3630 Redmon St., Nashville. An annual Christmastime production, Nashville’s Nutcracker features approximately 300 youth cast members from the School of Nashville Ballet and the surrounding community. Roles range from darling Clara to the adorable bear cavalry and everything in between. Dance experience is not required. Children must be eight years old by Dec. 31, 2018 to audition; children ages 12+ must be School of Nashville Ballet students. At the audition, children will learn simple sequences of steps from various age appropriate youth cast roles. Nashville Ballet’s artistic staff will evaluate auditionees on their ability to learn and execute these steps. The overall environment for auditions is light and fun for all. Pre-registration for auditions is now open; interested individuals can register online at www.nashvilleballet.com/youthcast at that time. Walk-ups are also welcome the day of an audition. Children who audition will be notified of whether or not they receive a role on Wednesday, Sept. 19. Mandatory rehearsals begin on Oct. 20. A $10 non-refundable audition fee and 4”x 6” full-body photograph are required. Girls should audition in a solid color leotard and pink tights; boys should wear a t-shirt and shorts. Ballet slippers are preferred, but not required; children who do not own ballet slippers should wear socks or another style of dance shoe. It is only necessary to audition once; children in each audition will receive equal consideration. Nashville’s Nutcracker weaves the awe-inspiring wonder of the classic tale with Music City’s glittering past as young Clara and her magical friends journey through a spectacular dreamland. This is the 11th consecutive season Artistic Director Paul Vasterling’s enchanting production will take over TPAC in December. For more information on youth cast details for this enchanting production, visit www.nashvilleballet.com. Nashville Ballet is the largest professional ballet company in Tennessee. 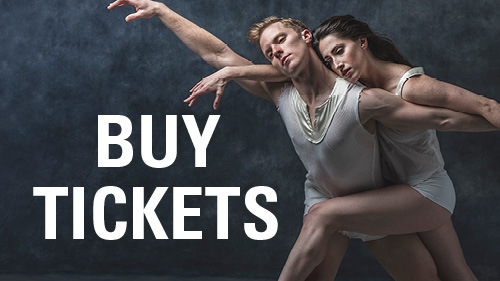 Nashville Ballet presents a varied repertoire of classical ballet and contemporary works by noted choreographers, including original works by Artistic Director Paul Vasterling. Nashville Ballet and the second company, NB2 (a pre-professional training company), provide more than 70,000 arts experiences to adults and children annually through season performances and its Community Engagement programming. Curriculum-based Community Engagement programs bring dance education to community centers, colleges, public libraries and public elementary, middle and high schools across the state. School of Nashville Ballet brings world-class dance instruction to students age 2 to 70. Nashville Ballet receives public funding from Metro Arts, Tennessee Arts Commission and the National Endowment for the Arts. Contributions from local, regional and national institutional funders and community partners, as well as hundreds of generous individuals, provide ongoing support of Nashville Ballet’s mission-critical programs.